If you want to play videos but you don't want to walk with complications of codecs, GOM Player solves that issues easily. GOM Player includes the majority of codecs (XviD, DivX, FLV1, AC3, OGG, MP4, H263, etc. ), GOM Player avoids have to install them. In addition, if you already have codecs installed on your PC is kind enough to allow you to choose what used, yours or those included in the program. 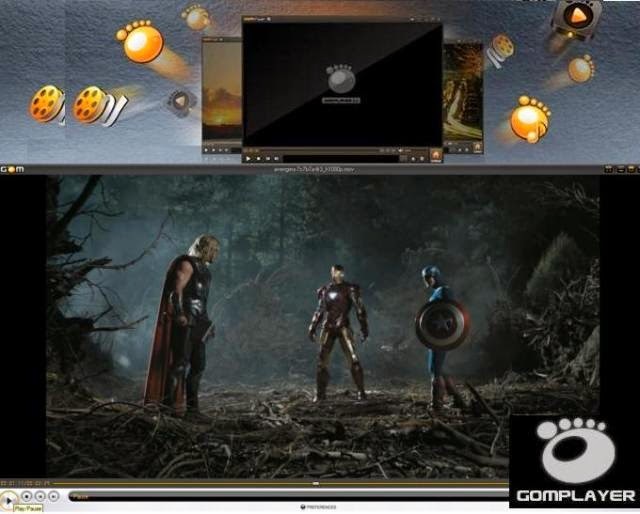 GOM Player has three display modes: normal, high quality (for powerful computers) and TV mode, thought to play by connecting the PC to the TV. Windows 8.1(32bit/64bit), 8(32bit/64bit), 7(32bit/64bit), Vista(32bit/64bit), XP SP2 or higher. Intel Pentium 4, AMD Athlon 64 or higher. Over 25MB free HDD space.